Dunmore Cave is eleven kilometres north of Kilkenny City and, like other caves across the country, is formed by limestone which was laid down over 300 million years ago. It contains almost a quarter of a mile of passages and at its deepest point is 150 foot below the surface. 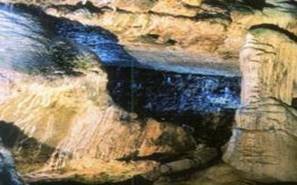 It is smaller than many of the caves around the country, the beauty and magic of its calcite formations as well as its scientific and historical interest make it one of Ireland’s most fascinating caves. Its presence has been known for years but it is only recently that attempts have been made to unravel its history. Mid March – Mid June Daily 10:00-17:00 Mid June – Mid September Daily 09:30-18:30 Mid September – October Daily 10:00-17:00 Winter Sat, Sun and Bank holidays 10:00-16:30 Last admission 45 minutes before closing.